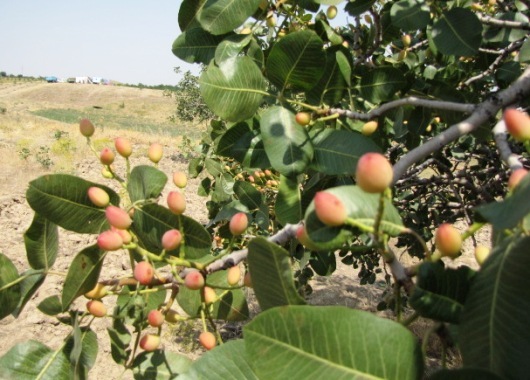 Growing pistachio trees in the foothills of the Jizzakh region of Uzbekistan is more profitable (in fifty times) than growing wheat, is more profitable (ninety percent) than animal husbandry, — scientists-foresters say. 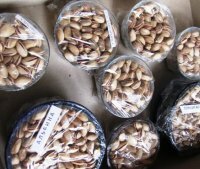 Why the local people do not listen to the recommendations of scientists and not to start growing pistachio orchards? This tradition is still wasn\’t here. Livestock sector was thriving. But in recent years, the livestock sector has become extremely unstable because of the rapid growth of the private livestock and grazing pastures, scarcity of fodder base. Farmer Bastamkul Saitkulov was the first who decided to cultivate pistachios on the bogara. He studied the scientific literature, met with the specialists. Не learned that pistachio trees grow at altitudes of up to 1300 meters above sea level, and here is 1200 meters. The local conditions are suitable. Watering is required only for the first two years after planting. 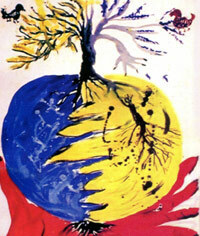 Then trees will bear fruit hundreds of years. 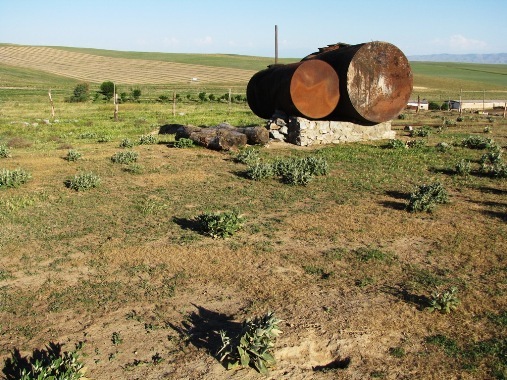 The farmer Bastamkul Saitkulov has artesian well (a depth of 160 meters). The case is in getting of financial support. He addressed to the Program of small grants of the Global Ecological Fund. The project was suitable for its conditions. 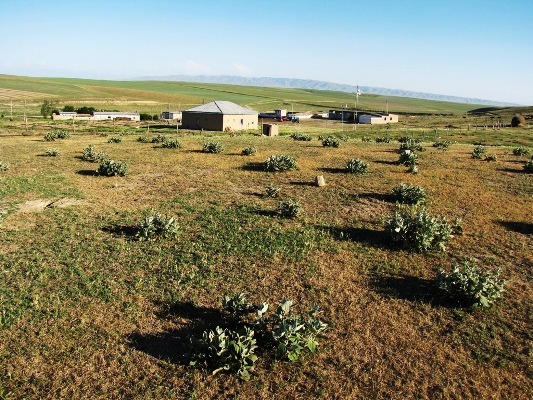 Pistachio orchards are perfect for groundwater resources, it reduce dust, prevent land degradation, improve soil properties, save biodiversity and the ecosystem as a whole. A farmer got grant. 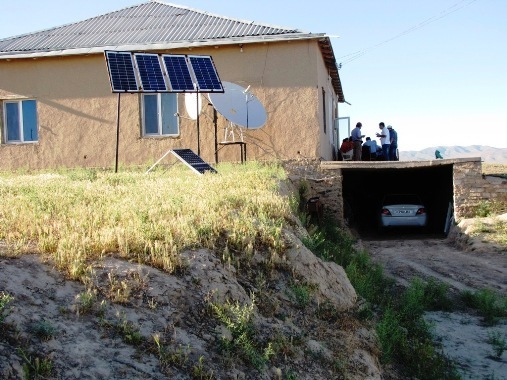 He used grant money for land preparations, he bought tools and seedlings. Bastamkul Saitkulov in 2009 spent the first landing. 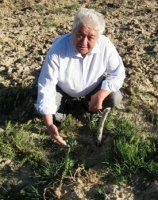 He planted 6 thousand seedlings in the glasses on the plowed field (30 hectares). 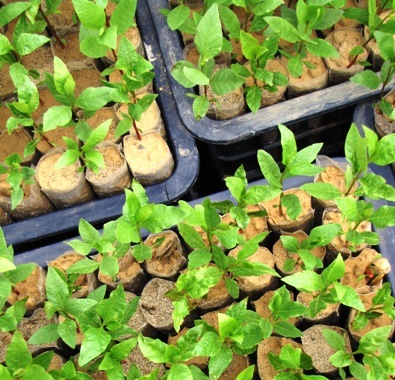 Each seedling installed on a plastic bottle with a needle from a syringe — a popular device for watering. Water syringe gives drop by drop, and the stock is enough for week. The farmer and the hired workers drove the water from the well in the future garden in the tank and filled plastic bottles. Saplings have taken root. The next stage is the grafting of the cuttings of the best varieties. 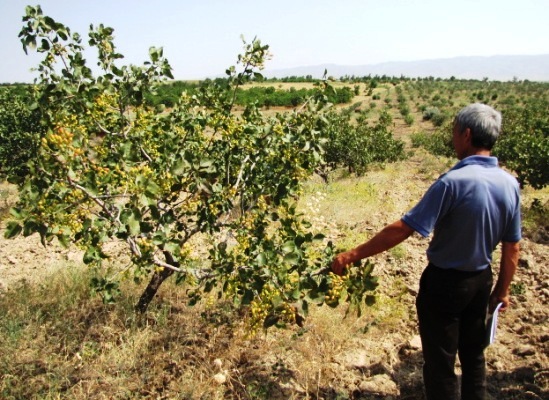 Pistachio trees begin to bear fruit in five years. 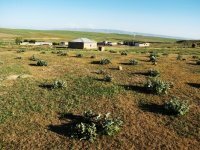 Bastamkul Saitkulov received in the management for 49 years 180 hectares of bogara and 530 hectares of pasture. On arable land farmer has planted apple trees also. He plans to increase the garden up to 50 hectares. He fenced garden by four actual rows of barbed wire to protect from cattle. 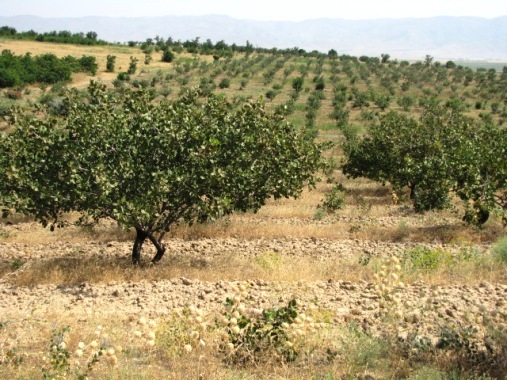 Until the crown of pistachio trees will grow the farmer will grow in row spacing forage crops and melons. Bastamkul Saitkulov lives in the village Narvonsai. He distributed 20-30 trees in 530 family of this village. Now all the neighboring households grow the pistachio orchards. But the farmer has another one good idea. He hopes to convince the local authorities to plant pistachio trees on the lands of state reserve. Farmer says: \»Nobody has eligibility to disturb the earth by plowing. The best possibility is to make holes. 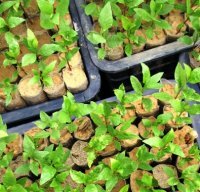 In such way you may plant pistachio trees on bogara. A great benefit will be for present and future generations\».